Are the Holiday Homes furnished? Each property is fully-furnished with bedroom(s), bathroom(s) and living room with kitchen. Each property also includes a TV (some houses have a DVD player), refrigerator, washing machine, microwave, delph, cutlery and linen (Some houses have sofa beds). Towels are not supplied. When a holiday home is being rented for more than 1 week you may liaise directly with the local representative if fresh bed linen is required. Are the Holiday Homes centrally located? 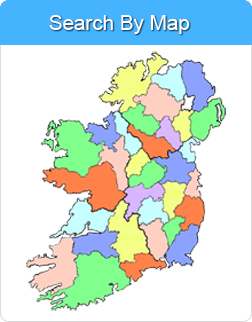 We have 700 properties in different locations throughout Ireland. All Holiday Homes are located within 3 – 10 minutes walk from the town, village or city centre location. As each property is situated in different locations please see the description of the property you are interested in. A refundable security deposit of €150 cash must be paid per house on arrival (July & August). During Bank Holidays, special occasions and New Year, €250 must be paid on arrival. Should a credit card be used there will be a €5 administration charge. The security deposit will be fully refunded provided the property has been left without damage and with all property accessories intact. If 2 or more houses are booked the security deposit is €500 per house payable by credit card 7 days prior to arrival to West Coast Holidays office. Failure to pay the security deposit in advance will result in the cancellation of the booking and forfeit of all monies. The deposit will be refunded within 7 days of departure once the on-site supervisor is satisfied that the terms & conditions of rental have been complied with. West Coast Holidays reserves the right to charge the cardholder and/or guest(s) for any damage caused by the guest or any of the guest’s party. A full inventory check of the property is carried out before the guest’s arrival and after the guest has departed. Any damage to the property or missing or damaged contents will be charged to cardholder and/or guest(s). The payment of the balance is due six (6) weeks prior to arrival and is automatically deducted from the credit card details held on file. On booking a holiday home with West Coast Holidays, a deposit of €155 is taken. The balance is payable six weeks prior to arrival. Excessive usage of electricity may result in an extra charge to the cardholder and/or guest(s). To avoid exceeding the electricity allowance, we request that guests turn off any appliances/lighting/heating when not in use. Please ensure that holiday homes are left in good condition – all waste placed in waste bin, and all crockery, cutlery and utensils washed. Otherwise, an additional charge of €50 will be applied. West Coast Holidays reserves the right to charge the cardholder and/or guest(s) for any damage caused by the guest or any of the guest’s party. A full inventory check of the apartment is carried out before the guest’s arrival and after the guest has departed. Any damage to the holiday home or missing or damaged contents will be charged to the cardholder and/or guest(s). Cancellations must be made by e-mail to info@westcoastholidays.ie. Confirmation of the cancellation will then be sent to you. If you do not receive confirmation, then your cancellation may not have been received. Depending on the reasons for your cancellation, you may be able to reclaim these cancellation charges from your insurance company, if you have taken out travel insurance. We strongly recommend that all clients obtain appropriate travel and personal insurance cover. We will send the information via email once the booking has been made. Our on-site representatives contact details will be included in the email and it is imperative that they are contacted 24hrs prior to arrival. What is meant by a Self Catering Holiday Home? A self catering holiday home is not serviced daily as in a hotel. Additionally, cooking, cleaning and washing are done by the guests. If additional cleaning is required, this can be arranged at an extra cost. Check-in and out times are outlined on the direction sheet for each property. In the event that you are unable to arrive at the specified time, please call the local representative to agree an arrival time. We cannot guarantee acceptance of a later arrival time request, however we will endeavour to do all possible to accommodate you. Can a holiday home booking be extended? Subject to availability, a booking may be extended. However, we cannot guarantee the same nightly rate. Generally extra nights will be charged at the rates applicable at the time. To extend an existing booking, please contact our office on +353 61 335 799. How many sets of keys do we get? Currently we give one set of keys for each holiday home. For insurance reasons, the total number of clients staying in each holiday home must not exceed the maximum capacity. As the capacity in each holiday home may vary it is important that you check in advance that you do not exceed the limit which applies to the holiday home you have booked. The number of persons advertised as being the sleeping capacity for the property must not be exceeded under any circumstances. There are street parking facilities for each property at each of our locations. Some of our properties allow you to bring along your pets at an extra cost of €25. For a list of Pet Friendly properties, please click herehttp://www.westcoastholidays.ie/holidays-for-family-pets . Why should I choose a Self Catering Holiday Home over a hotel? Double the comfort by offering far greater space. A more cost-effective accommodation solution. Fully-equipped kitchen with full range of cooking utensils. Fully furnished holiday home with lounge/dining area. Dedicated 24 Hour Emergency number.